UPDATED!! 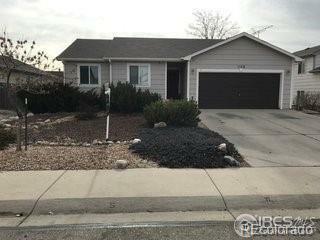 4 bedrooms and 2 bathrooms Ranch Style home with 2 car garage. Vaulted ceilings, Central AC, partially finished basement including jetted Jacuzzi tub and separate shower. Open floor plan with vaulted ceilings leading from kitchen to Great room, SS appliances, upgraded lighting and electrical, wood plank flooring, large storage shed, fire pit and patio for entertaining. New hot water heater. This home has it all and is in meticulous condition. Come take a look!